Abu Dhabi | Save stamps for charity - U.A.E. Stamps ready for sorting, trimming and packing. I’ve been really busy this week and didn’t get round to phoning TNT to collect the stamps to send to the RNIB. How glad I am that procrastination paid off for once as so many good things happened. Firstly, P from Gulf for Good thrust a little package of stamps into my hand when I was in her office this week. Next I received a fantastic e-mail from the organisers of Volunteer in Abu Dhabi. The enthusiasm and generosity of spirit seemed to leap out of the computer. They have asked people to come forward as “stamps ambassadors” to encourage and coordinate collection of used postage stamps within their work place or school in the capital. I’ll be adding these organisations to my Roll of Honour list as they come on board. You can contact Volunteer in Abu Dhabi through their Facebook group or, for stamps- related enquiries, contact me. Finally, my husband walked through the door last night struggling to carry all our mail – which was mainly addressed to me. Thank you to everyone who has contributed; from someone who took the trouble to put 6 Australian stamps in an envelope, to JR for a lovely, large bundle, to Andrew for a super, chunky envelope-full, to William who sent a most amazing collection of stamps dating back to the 1970s (bringing back childhood memories for me and fascinating my 13 year old daughter). There were masses of foreign (i.e. non-UK) stamps which are worth more to the charity. Royal National Institute of Blind People (RNIB) is the UK’s leading charity offering information, support and advice to over two million people with sight loss. Our pioneering work helps anyone with a sight problem – not just with braille and Talking Books, but with imaginative and practical solutions to everyday challenges. We need you to get involved to support our vital work. As a charity we rely on your generosity. People are still losing their sight unnecessarily. We campaign to eliminate avoidable sight loss and support research into the causes and latest treatments of eye conditions. I’ll send the parcel this week and pass on any feedback from volunteer Terri in the UK. Thank you to everyone in the U.A.E. 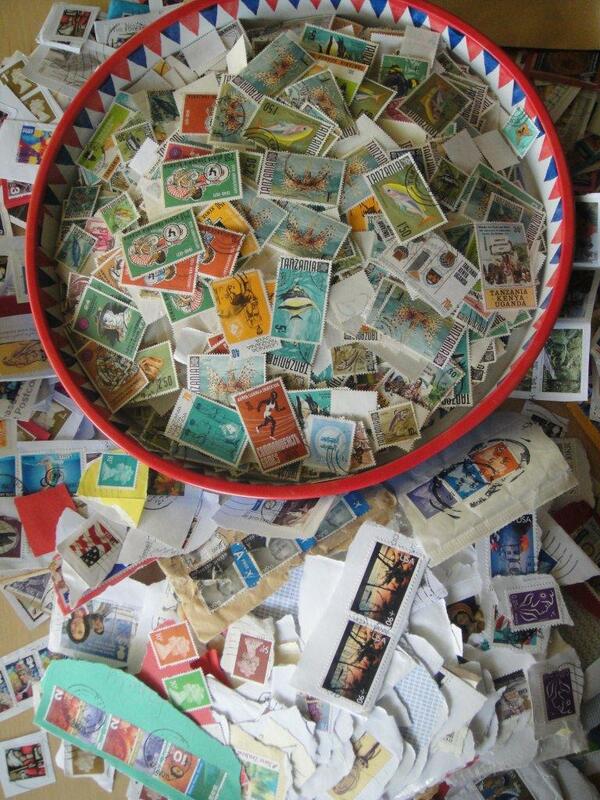 who has helped to make a difference through sending used stamps – keep collecting!